As of November 10, 2005 there were 17,851,301 shares of the issuer's Common Stock outstanding. 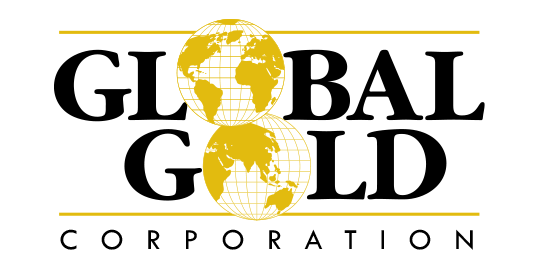 The accompanying financial statements present the development stage activities of the Company and its wholly owned subsidiaries from January 1, 1995, the period commencing the Company's operations as Global Gold Corporation, through September 30, 2005. The accompanying financial statements are unaudited and have been prepared in accordance with generally accepted accounting principles for interim financial information and instructions to Form 10-QSB. In the opinion of management, all necessary adjustments (which include only normal recurring adjustments) have been made to present fairly the financial position, results of operations and cash flows for the periods presented. Certain information and footnote disclosure normally included in financial statements prepared in accordance with accounting principles generally accepted in the United States of America have been condensed or omitted. However, the Company believes that the disclosures are adequate to make the information presented not misleading. These financial statements should be read in conjunction with the financial statements and notes thereto included in the December 31, 2004 annual report on Form 10-KSB. The results of operations for the nine-month period ended September 30, 2005 are not necessarily indicative of the operating results to be expected for the full year ended December 31, 2005. On August 1, 2005, the Company's subsidiary GGM entered three-year employment agreements in Armenia with Messrs. Simon Cleghorn and Frank Pastorino, as Director of Mining and Exploration and Director of Business Operations, respectively. The terms of both contracts are identical, with compensation at $100,000 per year and restricted stock awards of the Company's shares of 45,000 each vesting at a rate of 15,000 shares per year. Each contract is for three years and provides that each employee shall devote 80% of his available time to his duties. Mr. Cleghorn received his Bachelor of Engineering in Mineral Exploration and Mining Geology with honors from the Western Australia School of Mines in 1989 and has worked in Armenia since 1997. Mr. Pastorino received his Bachelor of Science degree in 1999 and Masters of Business Administration degree in 1999 both from the University of Louisville and has worked in Armenia since 2002, starting as a US Peace Corps volunteer. On August 1, 2005, the Company entered two-year employment agreements with Messrs. Lester S. Caesar, CPA as the Chief Financial Officer and Jan Dulman as the Controller. Mr. Caesar will receive $48,000 per year and Mr. Dulman will receive $12,000 per year. Both contracts are identical in that they include restricted stock awards of the Company's shares of 40,000 vesting at a rate of 10,000 shares per six months. Each contract is for two years and provides that each employee shall devote 20% of his available time to his duties. Cash compensation expense for the nine months ended September 30, 2005 and 2004 was $244,278 and $200,000. The amount of total unearned compensation amortized for the nine months ended September 30, 2005 and 2004 was $207,315 and $362,507, respectively. On July 29, 2005, the Company closed a private placement raising three million dollars to fund acquisition of the Tukhmanuk mining property in Armenia as well as to further its current mining and exploration projects and for working capital. The transaction involved the issuance of four million shares of common stock at $0.75 per share. Each new share issued carries a warrant to purchase one half of one additional share at $1.50 per share. The warrants are exercisable on or before July 31, 2007. On March 28, 2005, the Company's subsidiary Minero Global Chile Limitada entered an agreement with Adrian Soto Torino to provide mine preparation work and mining on the previously mined vein structure at the Santa Candalaria mine in Region III of Chile. On September 30, 2005, this contract for small scale mining was terminated based on the contractor's inability to meet the production requirements. This termination did not affect the ongoing exploration and drilling program at the property. On August 1, 2005, the Company's subsidiary Global Gold Mining, LLC ("GGM") entered an agreement to acquire the Tukhmanuk gold mining property and surrounding exploration sites. The Tukhmanuk property is adjacent to Global Gold's Hankavan property in central Armenia, between the Aragatsotn and Kotayk provinces. In addition to the central property, the acquisition includes a 200,000 tonne per year capacity plant and the Damlik, Mirak, Grebnevaya, Ozyornaya, Emin Yourt, Voskedzor, and Dalma exploration sites. The property is held by the Armenian company Mego-Gold, LLC, ("MG") for which GGM, agreed to pay $3,500,000. GGM initially paid $1,500,000 for 51% of MG and paying the balance of the purchase price for the remaining 49% within two years. The transaction closed on August 8, 2005 when GGM transferred the first $1,500,000 payment to the sellers in exchange for 51% of MG and issuance of the necessary mining licenses by the Armenian Government to MG. The company is obligated to pay the balance of the purchase price of $2,000,000 in August 2007. Such amount is reflected in the financial statements at its present value of $1,747,577 which includes imputed interest at 7.5% per annum compounded semi-annually to maturity. As of August 15, 2005, Global Gold Mining, LLC ("GGM") (which is wholly owned by Global Gold Armenia, LLC which in turn is wholly owned by Global Gold Corporation) entered into a joint venture agreement with Caucusus Resources Pty Ltd. an Australian company (which is a subsidiary of Iberian Resources Limited also an Australian company) ("CR") to form the "Aigedzor Mining Company, LLC on an 80% CR, 20% GGM basis in anticipation of jointly acquiring and developing (a) the Armenian limited liability company Sipan 1, LLC which is the licensee for the Litchkvadz-Tey and Terterasar mining properties as well as the associated plant and assets in southern Armenia; and (b) mineral exploration and related properties within a 20 kilometer radius of the southern Armenian town of Aigedzor, all as described in the exhibit filed on Form 8-K.
(a) Pursuant to the option initially held by Global Gold Corporation, on October 27, 2005, the Aigedzor Mining Company, LLC ("AMC") entered into a share purchase agreement (the " Sipan 1 SPA") with Mr. Albert Sakhkalian, the sole shareholder of the Armenian company Sipan 1, LLC ("Sipan 1") to acquire 100% of the shares of Sipan 1. Sipan 1 is the licensee for the Litchkvadz-Tey and Terterasar mining properties as well as the owner of the associated plant and assets in southern Armenia. AMC is a joint venture formed as of August 15, 2005, between Global Gold Mining, LLC ("GGM") (which is wholly owned by Global Gold Armenia, LLC which in turn is wholly owned by Global Gold Corporation) and Caucasus Resources Pty Ltd. an Australian company (which is subsidiary of Iberian Resources Limited also an Australian company) ("CR"). The parties formed AMC on an 80% CR, 20% GGM basis in anticipation of jointly acquiring and developing (a) Sipan 1 ; and (b) mineral exploration and related properties within a 20 kilometer radius of the southern Armenian town of Aigedzor. GGM is contributing $260,000 in addition to all of its other costs related to the Sipan 1 acquisition, and CR is contributing all other costs related to the acquisition and development of the properties until production commences, whereupon the parties will finance further development in proportion to their interests. Key terms of the Sipan 1 SPA include a total purchase price of $4,550,000, with $3,500,000 payable at the closing through an escrow account being held at the HSBC bank in Yerevan, a credit to the buyer for the $50,000 deposit paid by GGM pursuant to the January 20, 2004 Purchase Deposit Agreement through which GGM acquired the option to purchase Sipan 1, and the remaining $1,000,000 payable within three years of the closing subject to offset for any liabilities related to events preexisting the closing. AMC is also providing a company guarantee and a mutually acceptable bank guarantee of its performance for the $1,000,000 payment due in three years, all as described in the exhibit filed on form 8-K. On November 8, 2005, the sole shareholder of Sipan 1 transferred all of the shares of Sipan 1 to AMC and official registration of ownership to AMC was recorded. (b) As of October 28, 2005, Global Gold Mining, LLC ("GGM") (which is wholly owned by Global Gold Armenia, LLC which in turn is wholly owned by Global Gold Corporation) entered into a joint venture agreement with Caucasus Resources Pty Ltd. an Australian company (which is subsidiary of Iberian Resources Limited also an Australian company) ("CR") to form the "Marjan Mining Company, LLC ("Marjan Mining") to explore and develop the Marjan Gold Project in the south east of Armenia, close to the Armenia-Nakhichevan border. This property was previously explored during the Soviet era, and GGM acquired the Armenian company which held the license to the property, SHA, LLC ("SHA"), in December 2003. SHA is transferring all of its interest in the Marjan property to Marjan Mining. CR initially will own 40% of Marjan Mining, and will be responsible for all expenses associated with developing and bringing the property into production. Upon spending $500,000, pursuant to a mutually agreed budget, CR's interest in Marjan Mining will increase to 51%, and upon the commencement of production, has the right to earn in up to 80% of Marjan Mining, and GGM will retain the 20% interest, all as described in the exhibit filed on form 8-K.
(c) On October 31, 2005, Global Gold Corporation sold $55,000 in common shares, pursuant to exemptions from registration requirements of the Securities Act. The transaction involved the exercise of warrants originally issued on October 31, 2000. The transaction involved the issuance of 220,000 shares of common stock at $0.25 per share in accordance with the warrants. During the nine-month period ended September 30, 2005, the Company's administrative and other expenses were $1,241,576, which represented an increase of $656,839 from $584,737 in the same period last year. The expense increase was primarily attributable to higher legal expense of $32,202, insurance expense of $24,037, and mine exploration costs of $471,291 due to increased activity resulting from project development in Armenia and Chile. As of September 30, 2005, the Company's total assets were $5,198,933, of which $1,523,129 consisted of cash or cash equivalents. (g) Pursue additional financing through private placements or joint ventures. The Company also anticipates spending additional funds in Armenia for further exploration and development as well as acquisition of properties. The Company anticipates that it may have to issue additional equity or debt to finance its planned activities. In addition, the Company anticipates that it might obtain additional financing from the holders of its Warrants to purchase 3,000,000 million shares of Common Stock of the Company at an exercise price of $0.75 per share, which expire on December 1, 2006. If these Warrants were exercised in full, the Company would receive $2,250,000 in gross proceeds. The Company anticipates that it might obtain additional financing from the holders of its Warrants to purchase 2,000,000 shares of Common Stock of the Company at an exercise price of $1.50 per share, which expire on July 31, 2007. If these Warrants were exercised in full, the Company would receive $3,000,000 in gross proceeds. The Company does not intend to engage in any research and development during 2005 and does not expect sell any plant or significant equipment; it does anticipate purchasing processing plant and equipment assets. The Company has been able to continue its development stage activities based upon its receipt of funds from the issuance of equity securities, and by acquiring assets or paying expenses by issuing stock. The Company's continued existence is dependent upon its continued ability to raise funds through the issuance of our securities or borrowings. Management's plans in this regard are to obtain other debt and equity financing until profitable operation and positive cash flow are achieved and maintained. Although management believes that it will be able to secure suitable additional financing for the Company's operations, there can be no guarantee that such financing will continue to be available on reasonable terms, or at all. o Unaudited Condensed Financial Statements of the Company, including Balance Sheet as of September 30, 2005; Statements of Operations and Statements of Cash Flows for the three-months and nine months ended September 30, 2005 and September 30, 2004, and for the development stage period from January 1, 1995 through September 30, 2005 and the Exhibits which are listed on the Exhibit Index. Current Reports on Form 8-K, filed with the Securities and Exchange Commission on November 15, 2005, under Item 8.01 of Form 8K and on August 3, 2005 under Items 1.01, 3.02, and 9.01 of Form 8K. In connection with the Quarterly Report of Global Gold Corporation (the "Company") on Form 10-QSB for the period ending September 30, 2005 as filed with the Securities and Exchange Commission (the "Report"), I, Lester S. Caesar, CPA, the Chief Financial Officer of the Company, certify, pursuant to 18 U.S.C.